Jain Software developers developed highly customizable and productive billing software called GenBill. Highly efficient for modern business, 9x faster than tally and as per your business needs. This highly efficient software is easy to use and hassle-free user interface. One with a little computer knowledge can operate the software without any instructor. Includes sales, over 20 types of reporting tools, customer history, notes, previous dues, auto balance due emails, sale return & purchase return, due amount tracking, payments, inventory purchased & consumed, expenses, accounting, dashboard, balance sheet. Genbill can run on offline mode or online mode as per your business requirements .So if you have only one pc and have no plan to put this software online ,you can run it without any internet connection .If you’re willing to access all detail of billing from mobile ,other systems you can switch it to online mode .Does it sounds perfect ? No matter whether you’re big enterprise ,you can personalize this software as per your company name, logo and theme without paying extra charges .Even on invoices ,your company logo will be shown . Stop printing ,go green ! GenBill have innovative feature of auto email invoice to customers when you create any sale from it . Tally Enterprise edition 9.1 is not comparable with Jain Software GenBill .GenBill is 9 times faster,cheaper and featured than any tally version . 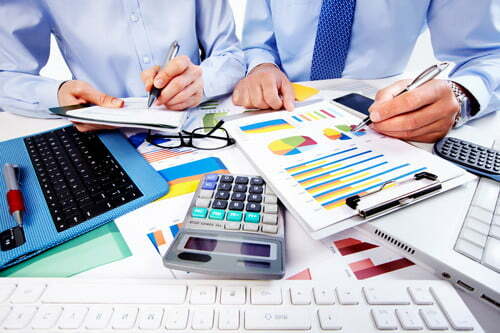 GenBill is really easy for your business ,we can customize it fully as per your requirements without giving you headache of extra charges .Many businesses running GenBill for their daily accounting and staff management task. Your business do have employees and you can restrict one employee from viewing only particular section of billing software and make rest master password protected . Increases efficiency and productivity of business . Shows price history instantly when placing order of product . Free Up yourself from accounting and paper calculation . Log in online anytime, anywhere on your Mac, PC or tablet and see up-to-date accounting & billing work flow. Its a innovative billing accounting software that’s simple, smart and occasionally magical.